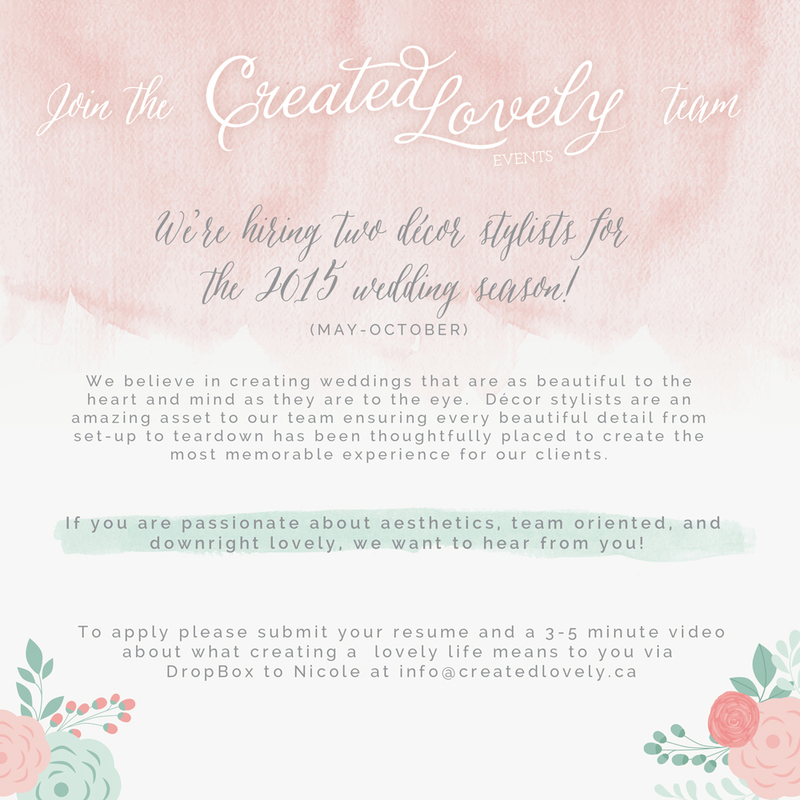 We are looking for two décor stylists to join the Created Lovely Events team! A typical wedding day shift is from 9am-1pm and 11:00pm-1:00am. 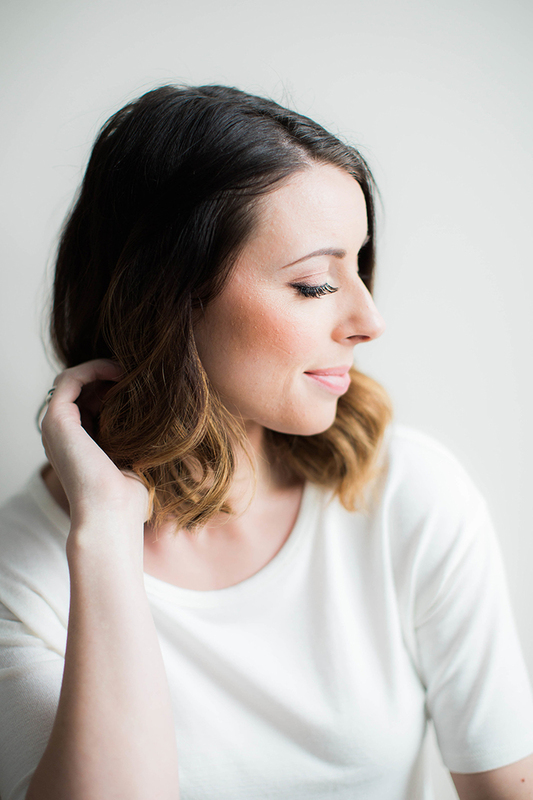 You are expected to attend every wedding set-up and teardown and will work closely with the rest of the Created Lovely team. There will be a total of 15 weddings you will be required to work that include some week day weddings. While the day will be filled with excitement and a whole lot of pretty, don’t underestimate the work that goes in to creating beautiful spaces. Décor set-up and teardown requires extended periods of time on your feet (often outdoors in summer heat), working under pressure, and exceptional attention to detail. We thank all candidates for their interest but only shortlisted candidates will be contacted for interviews. No telephone calls please. We look forward to hearing from you!